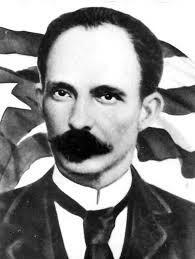 Throughout the history, numerous Cuban personalities have been asked what they thought of José Martí, what he was like. Enrique Collazo, Gonzalo de Quesada Miranda, Jorge Mañach and Cintio Vitier were those who took up the task of describing the Cuban poet and journalist. All of them agreed that “the Apostle of Independence” was a singular man, as singular as a Cuban can be. In appearance he was a typical Cuban: small, with black hair and eyes, thin, modest, neat and tidy. He spoke in a low voice and had fine manners. He liked to show his feelings openly, although he didn’t laugh very often. He had aristocratic tastes, habits and customs. He took the concept of democracy to the limit. When he was nervous, he used to walk at a fast pace, which earned him the nickname of the “squirrel man”, coined by Collazo. Gonzalo de Quesada Miranda says that José Martí stood out for his high morals and for being a tireless worker. Others see him differently. The communist dictatorship of the brothers Fidel and Raúl Castro has used him as their shield and flag, as their accomplice, attributing him the authorship of plans and schemes he had never been involved in. Can you imagine Martí directing a surprise attack against military barracks, at dawn, in disguise, remaining outside, but not fighting when necessary? And to top it all off, can you imagine him ordering the torture of some of his wounded enemies? Can you imagine Martí as General Castro, ordering to shoot the defeated enemies or to assassinate three young black men as a warning, young men who had not actually committed any serious crimes? Luckily, the Cuban dictatorship has failed in its efforts to clothe our Apostle in socialist attire. We will always remember José Martí dressed in a suit with a black tie, a symbol of mourning for his enslaved homeland, with an iron ring on his hand with the letters C-U-B-A engraved in it, a ring made of a piece of chain he wore as prisoner No. 113.